To continue we need to create a shortcut to the script. You can create shortcut to the folder, Pin it on start menu or taskbar (please read this tutorial and this tutorial for further customization). 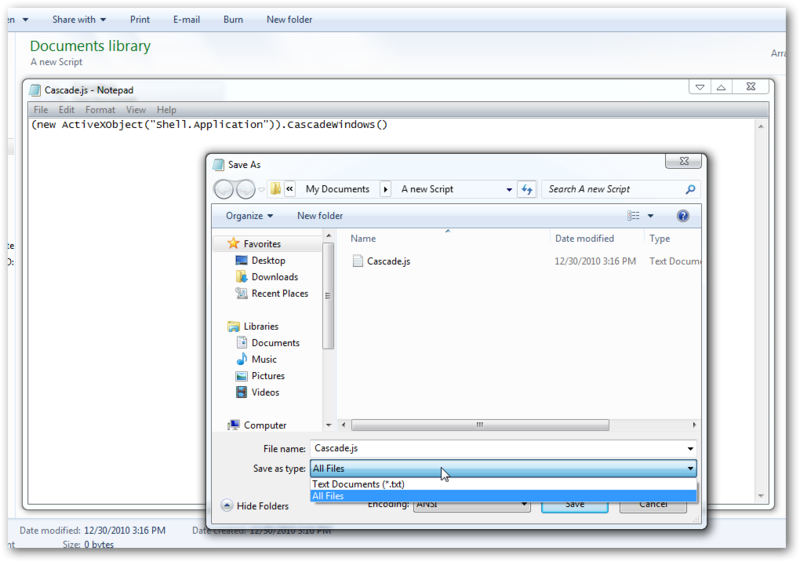 To arrange all the open Windows by cascade, just double click the script. You can create a keyboard shortcut too. Read this tutorial to do the same. 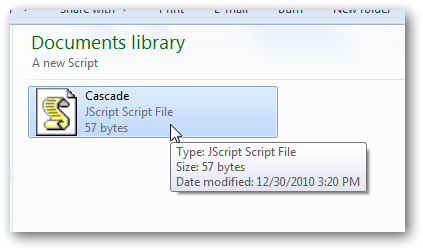 Cite this article as: Abhishek Ghosh, "Script to manage programs and applications in Windows 7 easily," in The Customize Windows, December 30, 2010, April 25, 2019, https://thecustomizewindows.com/2010/12/script-to-manage-programs-and-applications-in-windows-7-easily/.